It’s no secret Buddy’s Pizza is a favorite here in metro Detroit. The word is out across the country as well. The restaurant that invented the first deep dish square pizza crust – pioneering Detroit’s original style pizza – has again earned the number one spot for independent pizzeria on Pizza Today’s Hot 100 list. Buddy’s Pizza fans and customers share their thoughts daily on the Buddy’s Pizza Facebook page and Twitter feed. Former and current employees joined a Buddy’s Facebook group to keep in touch. Earlier this year, Buddy’s unveiled the Motor City Pizza Collection, four inspired pizzas on the Buddy’s menu which are each associated with and benefiting a non-profit cultural institution in the metro Detroit area. 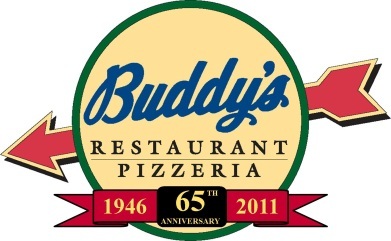 When customers purchase The Detroit Institute of Arts; The Henry Ford; The Parade Company or The Detroit Zoo pizza, Buddy’s will donate $1 will to the non-profit institution throughout 2011. Showing their Detroit spirit, Buddy’s experimented with its first square beer crust this year, by incorporating Kid Rock’s Badass Beer into their Kid Rock’s Badass Detroiter pizza. It is only available at the original 6 Mile and Conant location in Detroit.